Are audiences bored of city-destroying carnage? This summer sees the release of Independence Day sequel Resurgence and most people have viewed it with a collective “meh.” This seems ridiculous considering how huge the first movie was and how it ranks among many people’s top science-fiction films, if not top movies lists generally. At it’s time it was the epitome of the summer blockbuster and blew people away and that was in no small part to the explosion that tore through The White House. The story of Independence Day was good, the characters were very likable (and it launched a certain Mr Smith’s career stratospheric) and the action was great, with a grand finale to match the middle acts big set-pieces. It was that central set-piece that got people talking though and many were blown-away by the special effects, the carnage and feeling of utter helplessness that came with it. Independence Day then opened the door and upped the stakes. Alien invasion movies, disaster movies and even general action movies couldn’t be considered “blockbuster” if they didn’t level as least one building and if they really wanted to go large, destroy whole cities. It became a contest of destruction, going for each major landmark and seeing what shocking tourist attraction could be destroyed next. Cloverfield took the head of the Statue of Liberty, GI:Joe ripped through the Eiffel Tower, London’s Big Ben has been frozen in Day after Tomorrow and attacked by dragons in Reign of Fire and the amount of times the Tokyo Tower has been destroyed by Godzilla, it must have monster insurance. The issue which arises is that this soon becomes ineffective and that is the problem that the new Independence Day movie is facing. The film that “started the craze” is now looking pretty pedestrian when it destroys a city. London seems to be the target again (at least from what you can see in the trailer) and although the effects look very impressive, the actual destruction isn’t. This isn’t just an issue Independence Day has faced. Many movies have found themselves in similar positions recently. The superhero genre will gladly destroy a whole city with little consideration for the consequences. The first Avengers movie totaled New York, while Man of Steel destroyed Metropolis. The problem being, this looked cooler than it was shocking. This also means the grand, destructive finale is facing a backlash. Audiences are switching off and becoming bored by it. One of the biggest complaints of both Marvel’s Captain America: Winter Soldier and Age of Ultron was how generic it felt that yet another city was being destroyed, while even The Rock couldn’t convince people to fall back in love with old fashioned disaster movies in San Andreas (although I loved it). This means that studios are getting smarter with their choices of destruction and their reactions to it. Batman V Superman started with the reaction to the destruction and became a catalyst for the movie’s events, as did the conflict at the center of Civil War. Other films are beginning to favour a more realistic and terror based approach. Regardless of the mindless violence, the use of terrorist attacks to destroy Britain’s capital city in London has Fallen was still chilling and made the attacks on landmarks feel scarily real. This isn’t a shocking scene anymore! 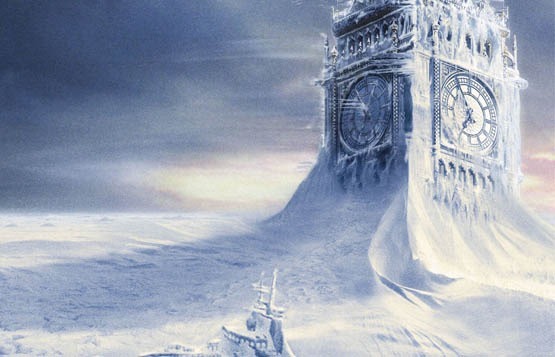 Of course, this still presents the problems that Independence Day: Resurgence will face. The biggest draw to watch the movie originally was the amazing central set-piece and even though the trailer promises one city dropping on top of another, it is difficult not to stifle a slight yawn when it is something we have seen many times before. Overall, audiences need to be amazed in other ways beyond how big a film’s explosion can be. It used to be impressive to destroy a landmark but once we’ve seen The White House destroyed many times before and monsters tear through the Brooklyn Bridge from various perspectives, a movie has to deliver something more original. Maybe that is why people are struggling to be as excited for Independence Day’s sequel than they may have been if it had come a year after original rather than nineteen! Hmm tough one. When cities were destroyed in “Deep Impact” and “Armaggedon” it was a novelty and we cared about it. Guess people looked more at cities then. People photographed cities. People looked up. Nowaways péople only care about their smartphones and their messages. They even use check their damn phone during the movie. So who cares about cities. Show them a phone being destroyed and their hearts will skip a beat. I hadn’t thought of it from that point. Maybe that is the issue, people’s priorities have changed. 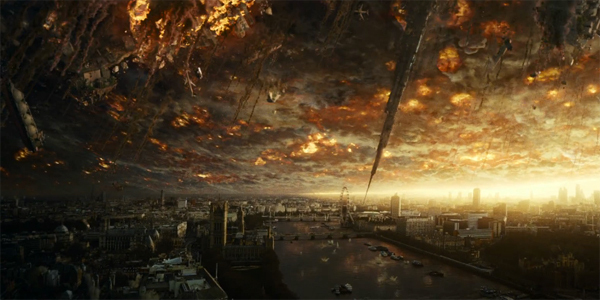 I dunno, I saw a clip from the new movie of, I think it was London, being destroyed by the incoming alien ship and it was pretty scary to me (then again there’s something about hearing thousands of people screaming that kinda gets to me). I do agree that destroying cities is hardly original anymore though, so maybe they’re going to blow up the planet this time? Maybe. Up the stakes even further. They are going to have to do something though. I think what you’re saying makes a lot of sense (although I think San Andreas was actually quite popular). I think people are still interested in seeing mass destruction but for it to have the effect that the first Independence Day did, they’ll have to tap into our fears and emotions. It needs to be more rooted in real life than I’m assuming ID: Resurgence is.